For live updates, be sure to . 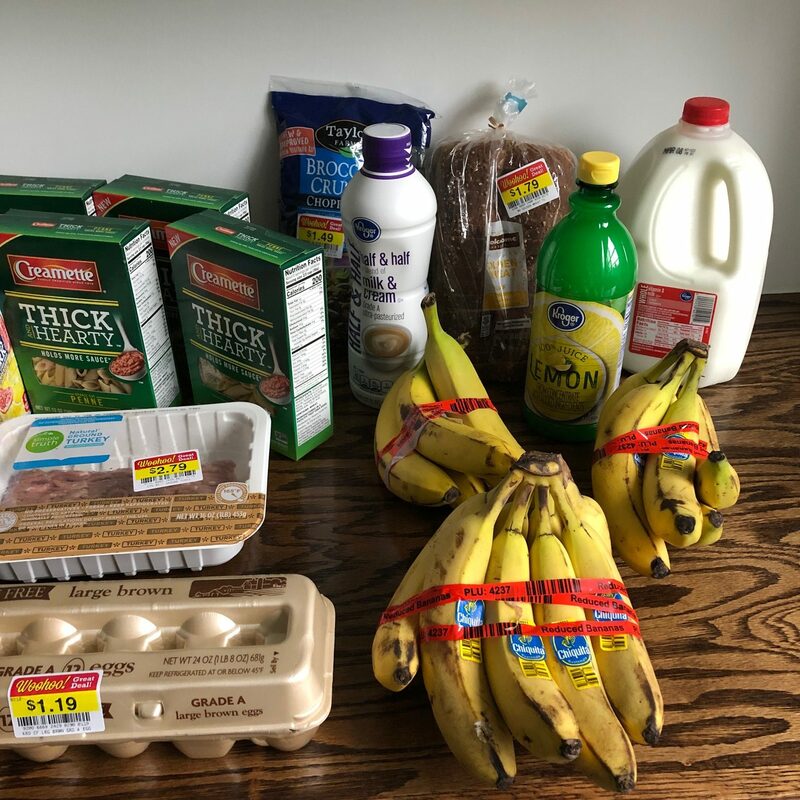 See all posts on my $70 Grocery Budget here. Note: Some of the links in this post are affiliate links and we will be compensated if you click through and sign up. Read our . 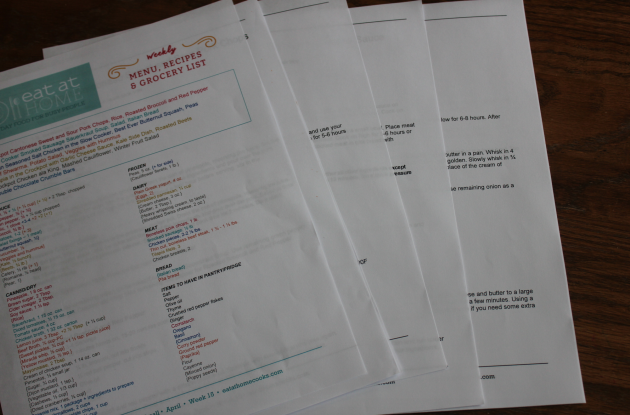 The last two weeks, I didn’t post our menu plan with my grocery posts. I did this intentionally — without saying anything — to see if people would notice and mention anything. 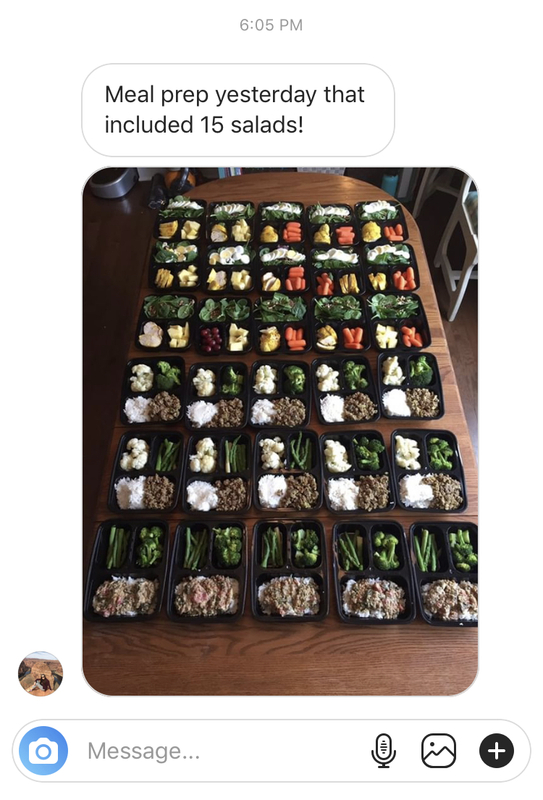 You see, it takes quite a bit of extra time to track what we eat and share it and it felt like the only comments I had been getting were pretty negative, nit-picky comments about our menu plan (most of these were coming in via email and on social media). I was feeling like a) people weren’t finding the menu plans helpful and b) it probably wasn’t worth my time to share the menu plans if they were only going to get critical comments. 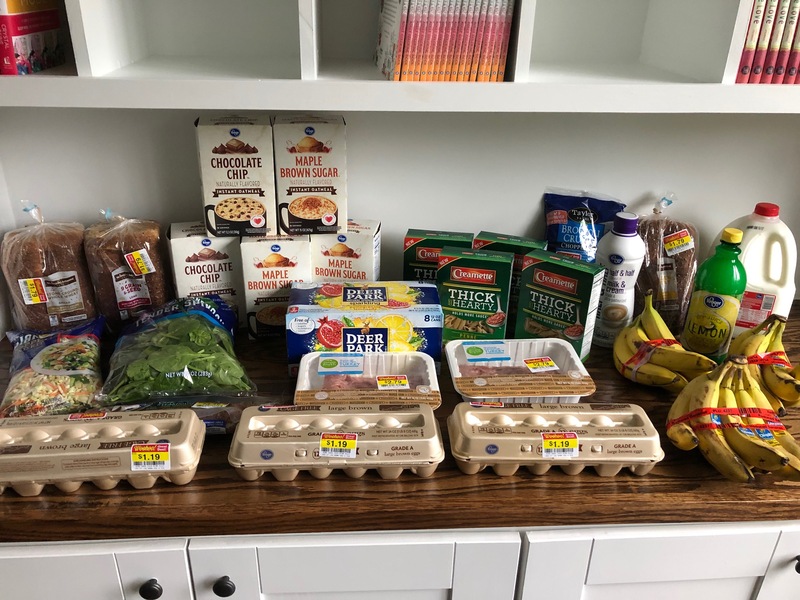 We already had a lot of groceries in our pantry, fridge, and freezer and there weren’t any , but since I still had $59 in our grocery budget to use, I went to Kroger on Friday to see what markdowns I could find. I was not disappointed. In fact, I kind of hit the motherlode of markdowns! I thought you’d like to see how yummy that bagged salad looks like on a plate. Here’s half a bag of the salad. I love that buying these bagged salads makes for such quick and easy — and healthful and inexpensive! — lunches for me! 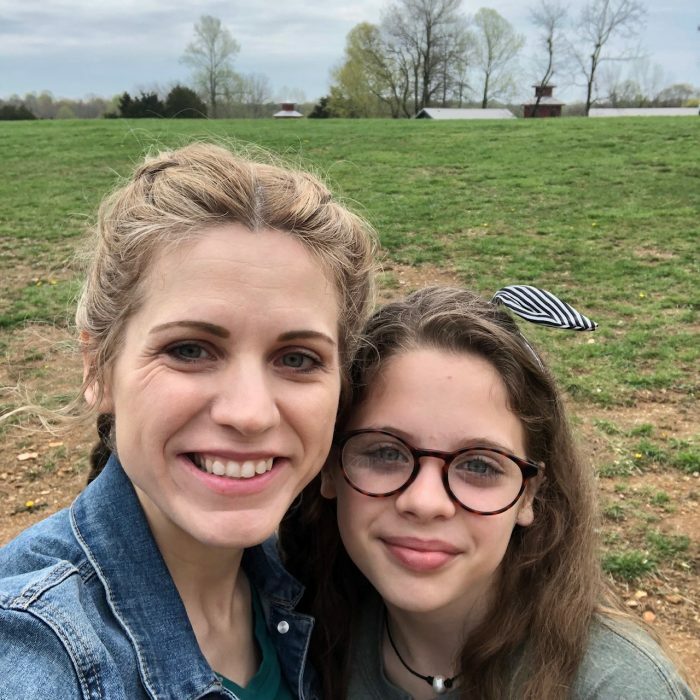 Kaitlynn went to 7th and 8th grade camp in Kentucky with 33 other students from church on Friday, Saturday, and Sunday. I am not a student ministry leader, but they were short on leaders who were able to come so I volunteered to go. And I had a blast getting to hang out with the kids, have fun with them, listen to them, love on them, and encourage them. 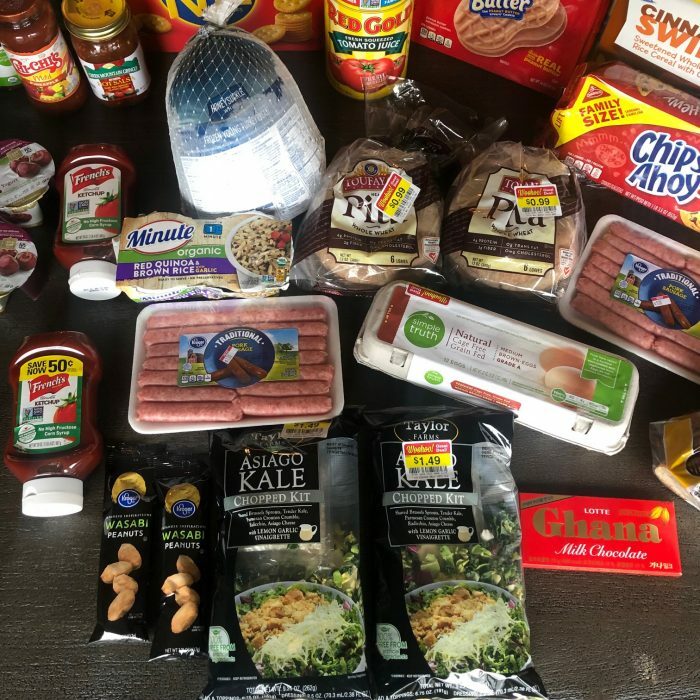 So Kaitlynn and I ate camp food for 2 days this week… and it wasn’t that bad! I was especially happy that they had a salad bar for lunch and dinner! Note: When you see the meals below, please remember this: I buy ahead often. Which means that when I find a great deal on something I know we’ll use, I buy as much as I can afford in our budget to have on hand. This means that you aren’t going to see all of the groceries my shopping trip that I used to make all of the meals we ate. Please also remember that I’m putting this out there and it’s not a perfectly balanced menu. This is just really what we ate — and I hope that it encourages you to see the real-ness and lack of perfection here. Saturday — Jesse and Silas and Kathrynne went out to eat. Kaitlynn and I were at camp. 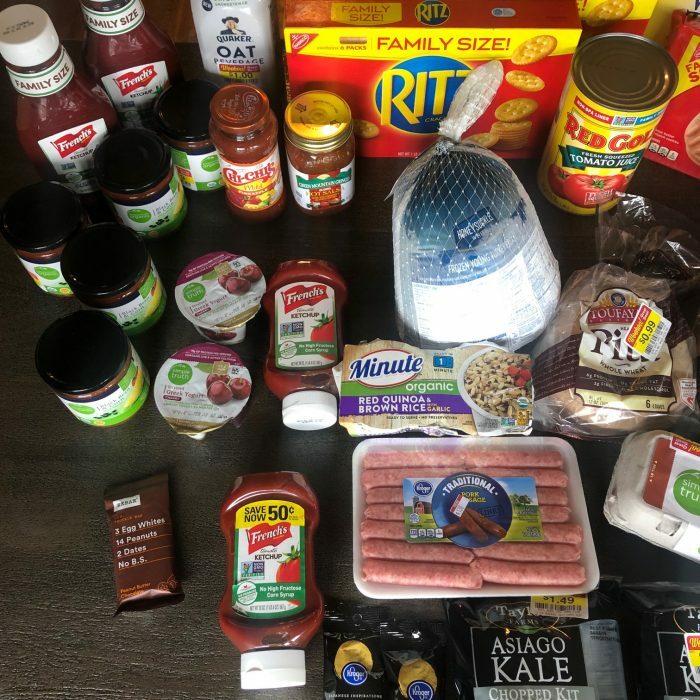 Total spent on groceries: $60 — I have no idea how I managed to have a perfectly even number!! Cashback earned this week: 50 points for submitting my receipts to Fetch rewards + submitting my receipt to iBotta rewards. Did you get your ? We already have a lot of pasta, but I couldn’t pass up free pasta! 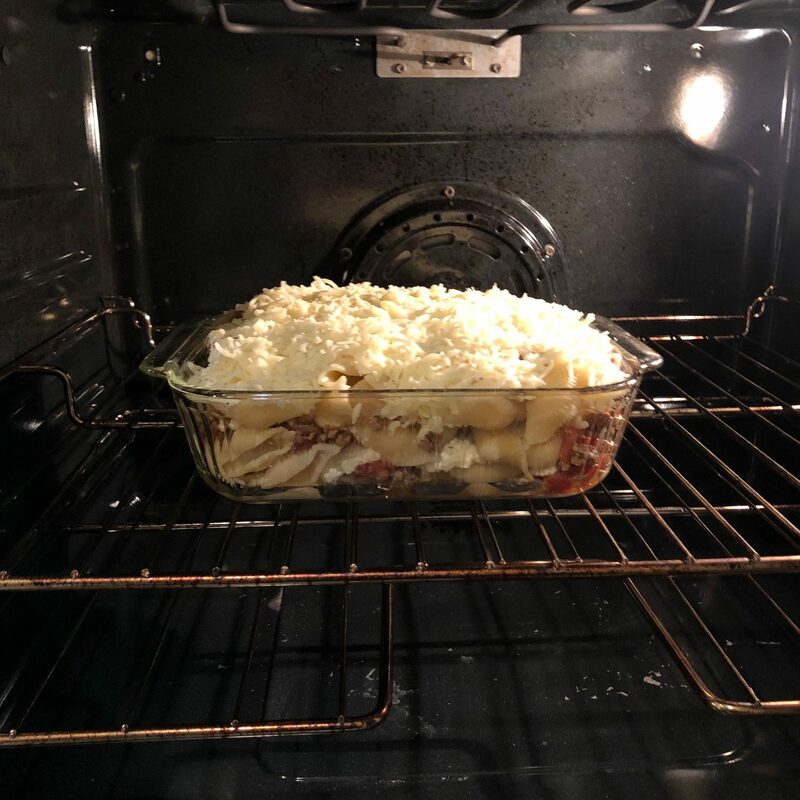 I was hungry for Lasagna one day, so I got creative with what we had on hand. 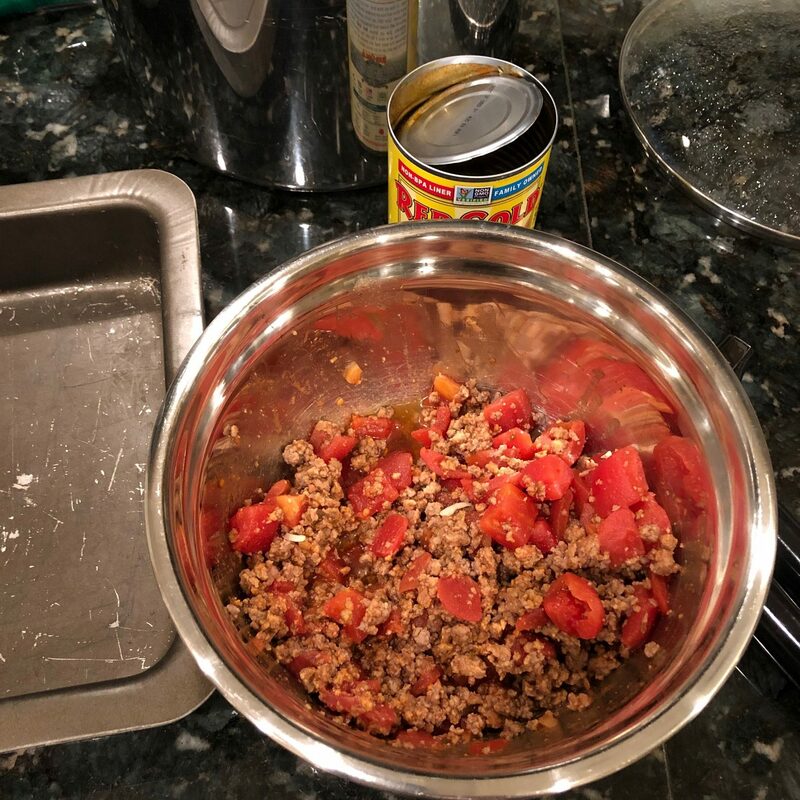 And mixed a pound of ground beef (from the freezer) with a can of tomatoes I had in the pantry. 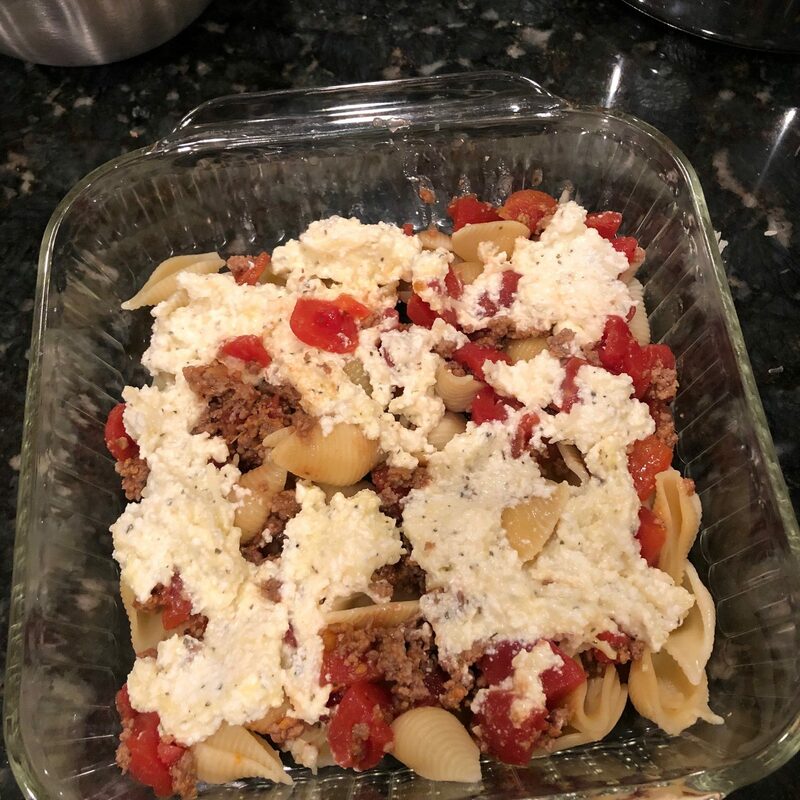 I also had some cottage cheese in the freezer, so I mixed that with an egg, some salt and pepper and basil, and mozzarella cheese I had in the freezer. 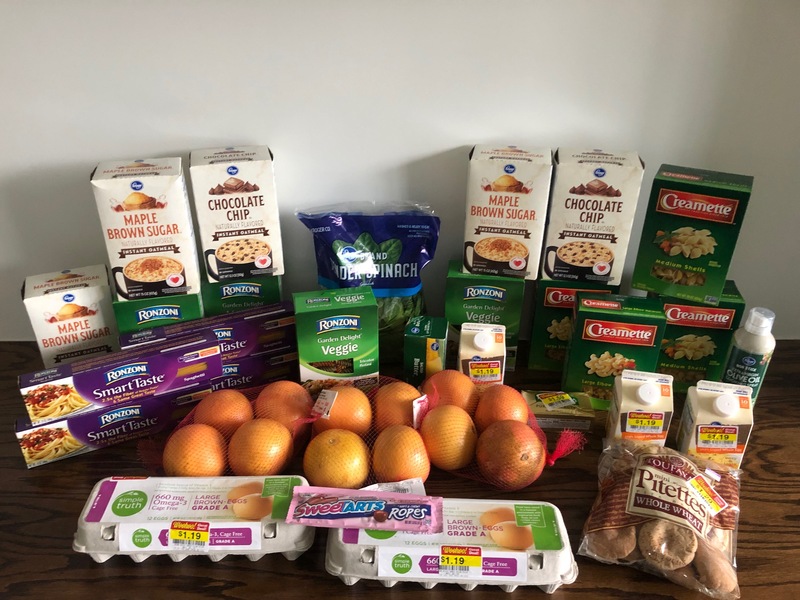 Cashback earned this week: 134 points for submitting my receipts to Fetch rewards+ $2.25 back from iBotta for buying Creamette Pasta and scanning a receipt. 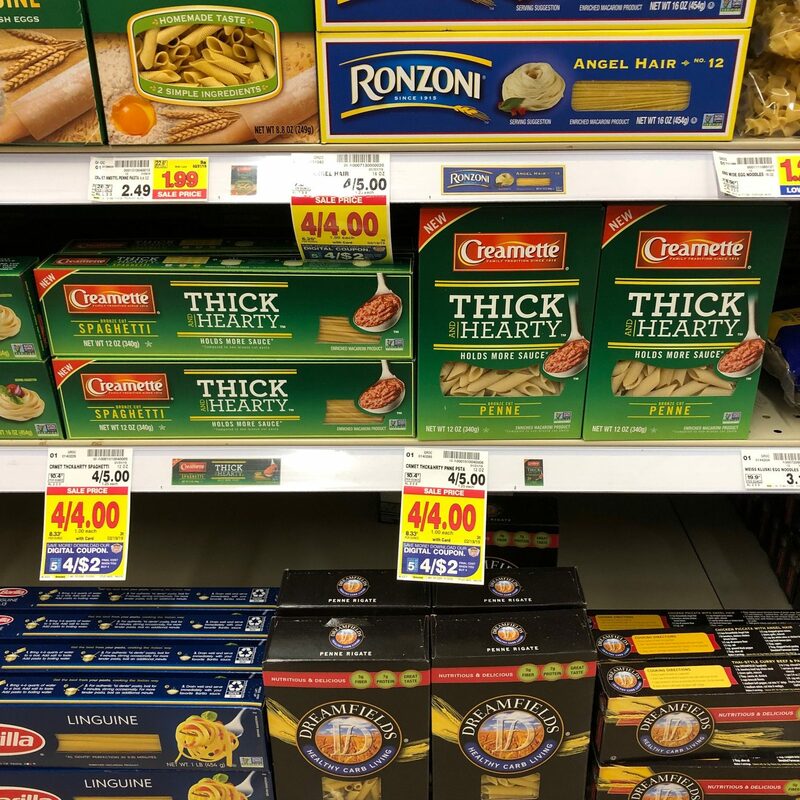 4 boxes Creamette pasta — $1 each, used $2/4 = $0.50 each after coupon — You can get $1 back from iBotta for buying two — which makes 2 boxes completely free! 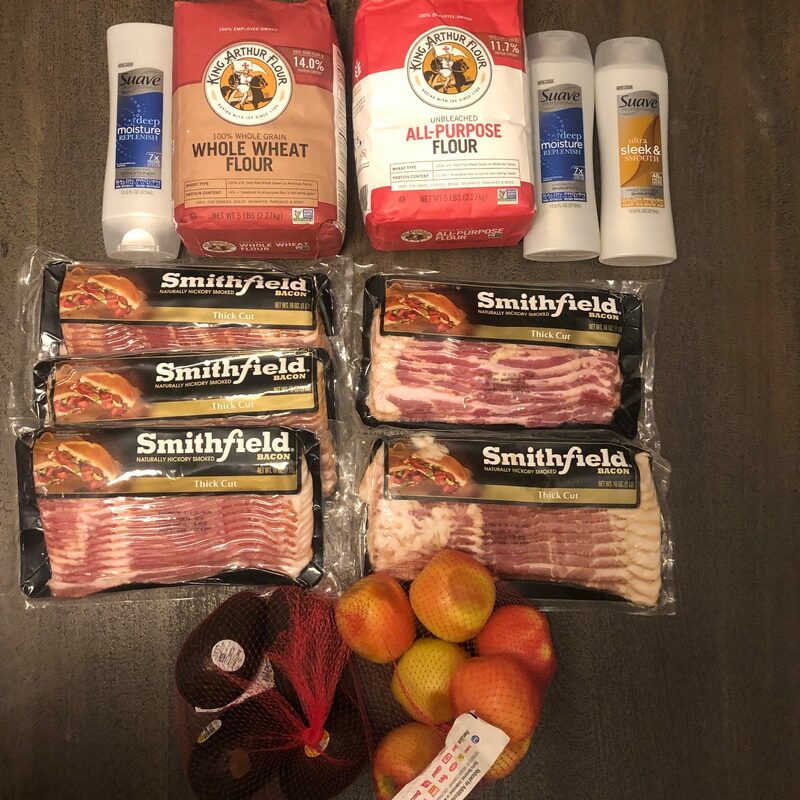 I used a gift card earned for free from Swagbucks to pay for this, but I still deducted the amount spent from my grocery budget to keep it fair for you all who are following along with our $70 budget. 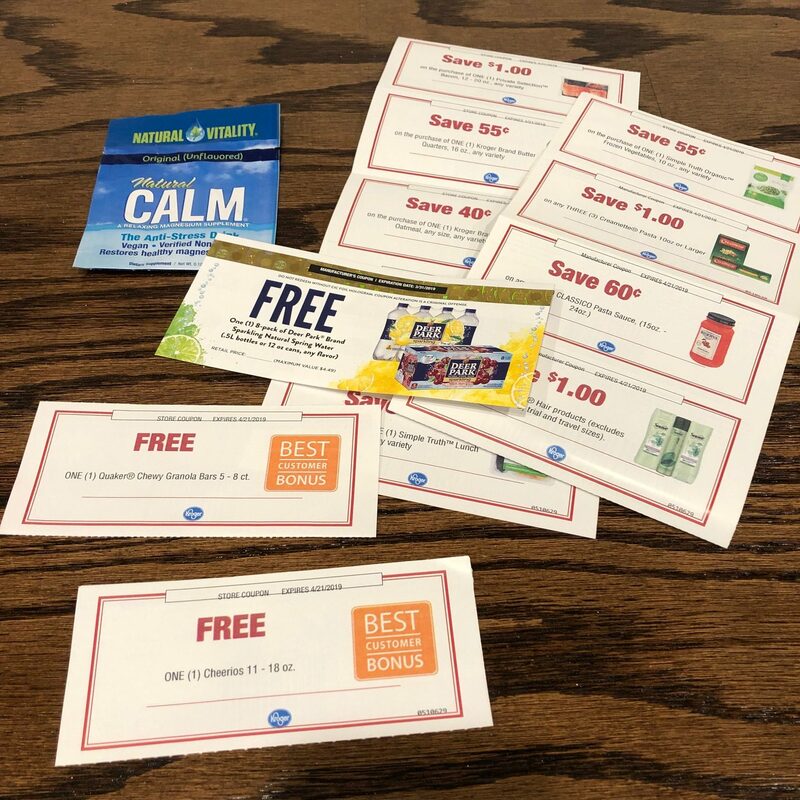 I also got my free Deer Park water coupon and my free Natural Calm sample. What did YOU get in the mail this week? 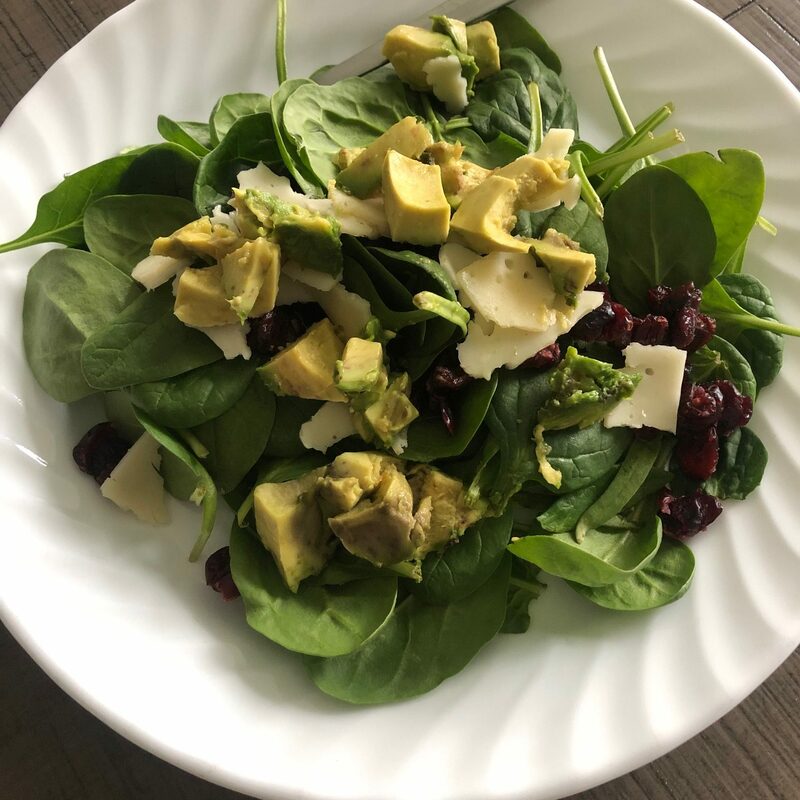 This was one of the salads I ate almost every day this week because it was so good: spinach, avocado, Swiss cheese, and dried cranberries. 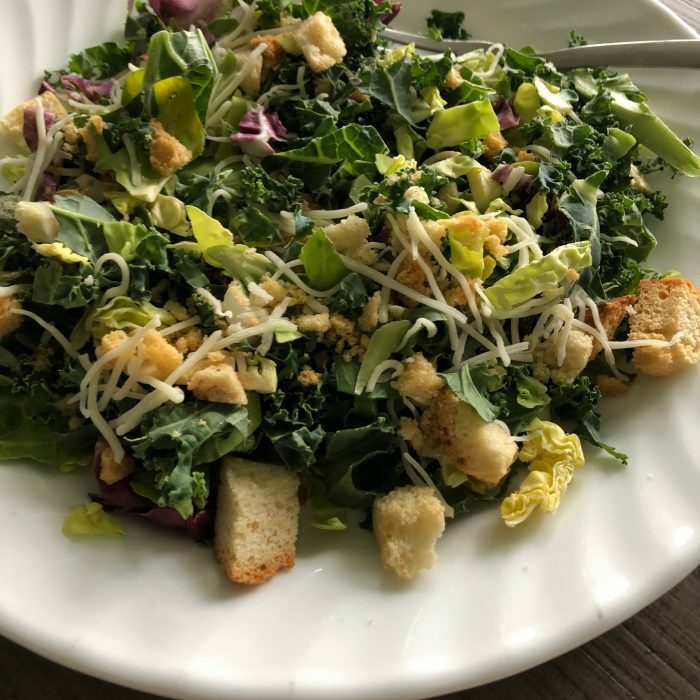 I am LOVING those of you who are posting your salads on and sharing your pictures of salads with me. I thought the above message was really impressive and inspiring! Please also remember that I’m putting this out there and it’s not a perfectly balanced menu. This is just really what we ate — and I hope that it encourages you to see the real-ness and lack of perfection here. ? 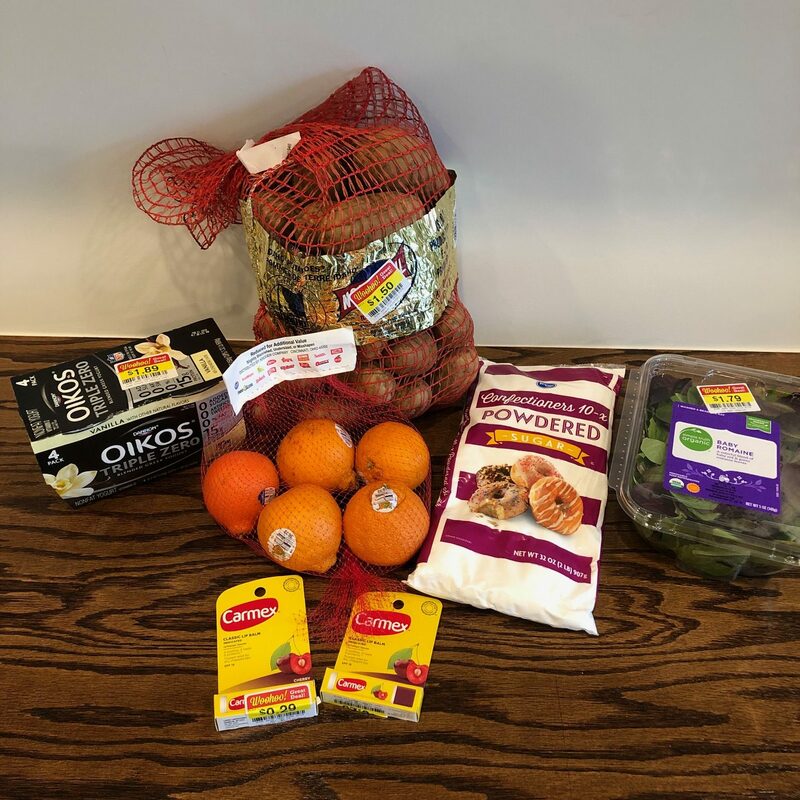 Taco Casserole, Chicken Tetrazinni/Grapefruit, Fend for Yourself, Chicken Tetrazinni/Grapefruit/Salad, Chicken/Roasted Potatoes/oranges, scalloped potatoes, turkey sausage, oranges. Psst! Need some help with cutting your grocery budget? 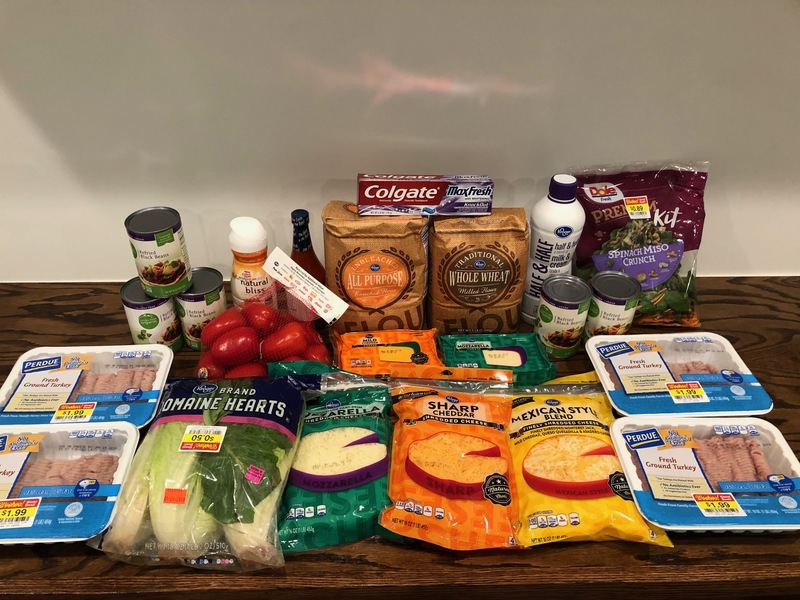 Check out my series: 5 Days to a Better Grocery Budget. 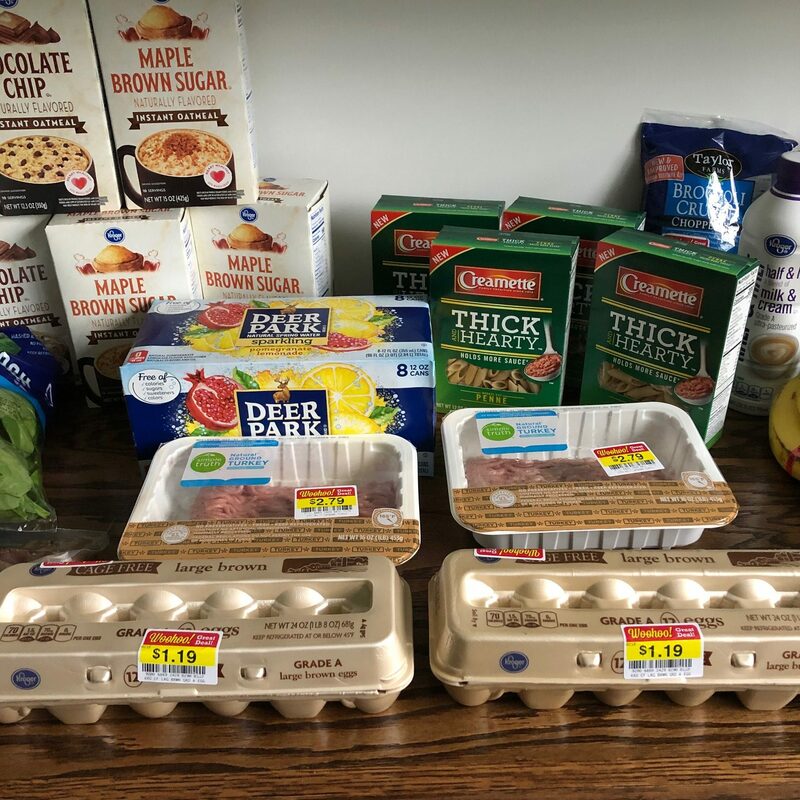 Cashback earned this week: 125 points for submitting my receipts to Fetch rewards+ $1.80 back from iBotta for buying Creamette Pasta, Jimmy Dean sausage, and scanning a receipt. 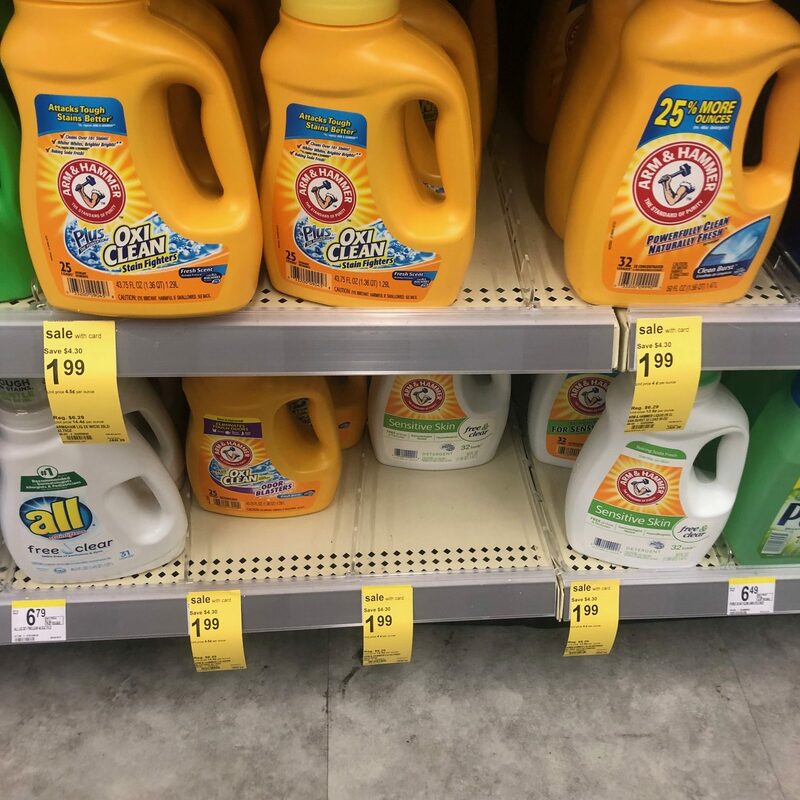 A number of you have been asking if I can go to stores other than Kroger… and so I’m going to try to make that happen, if it works out in our schedule and there’s a good enough deal warrant going to Publix or Walgreens or CVS or Sprouts or Aldi. We’ll see! 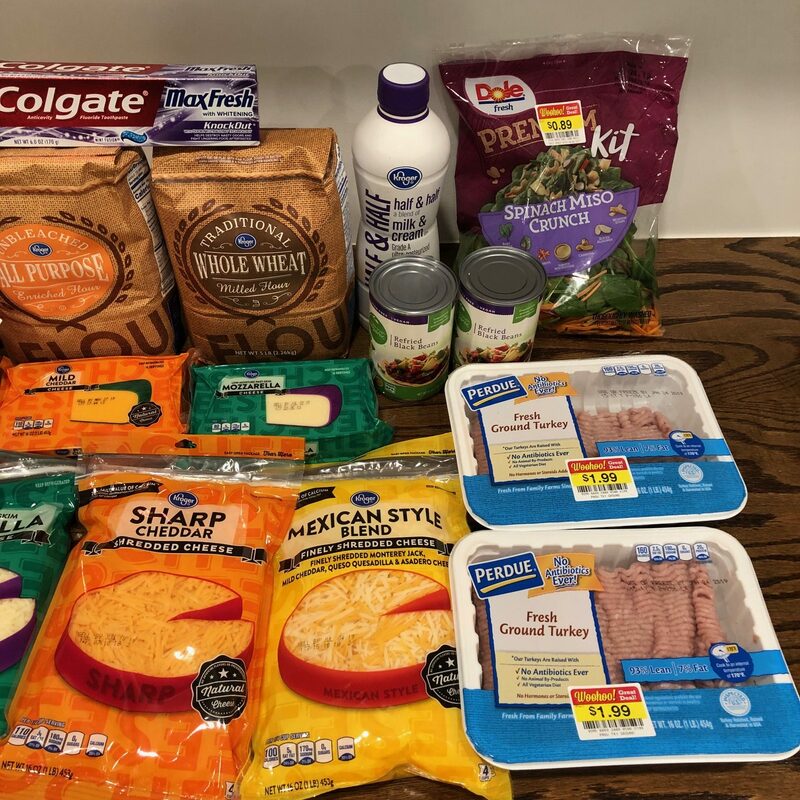 This week, Jesse and I were right by Publix and Walgreens one of the days and I had a few minutes, so I ran in to get a few deals. Plus, I went to Kroger three different times. 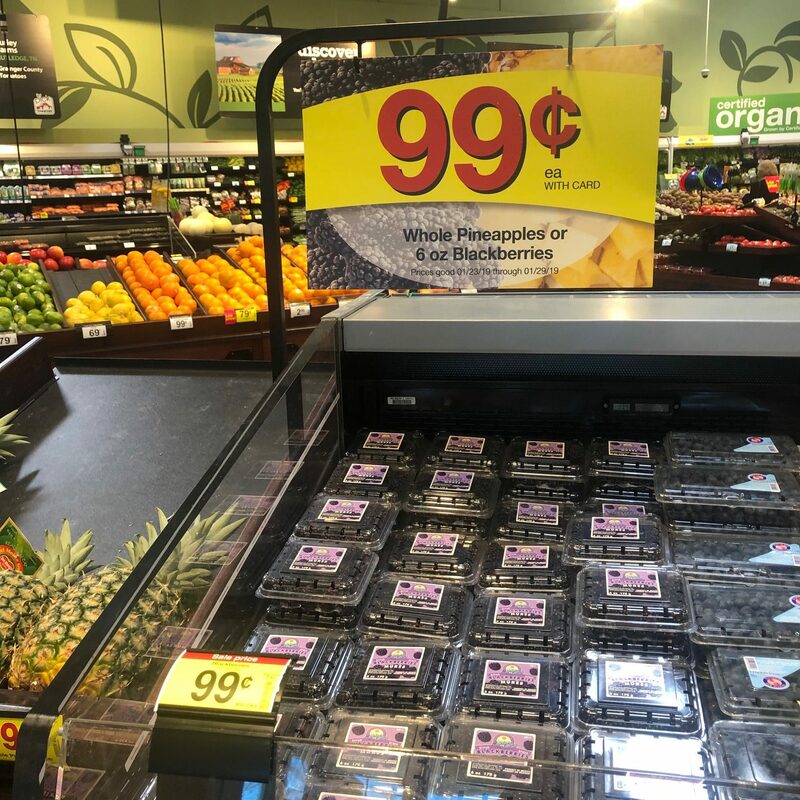 Pineapple and blackberries are just $0.99 at Kroger right now! 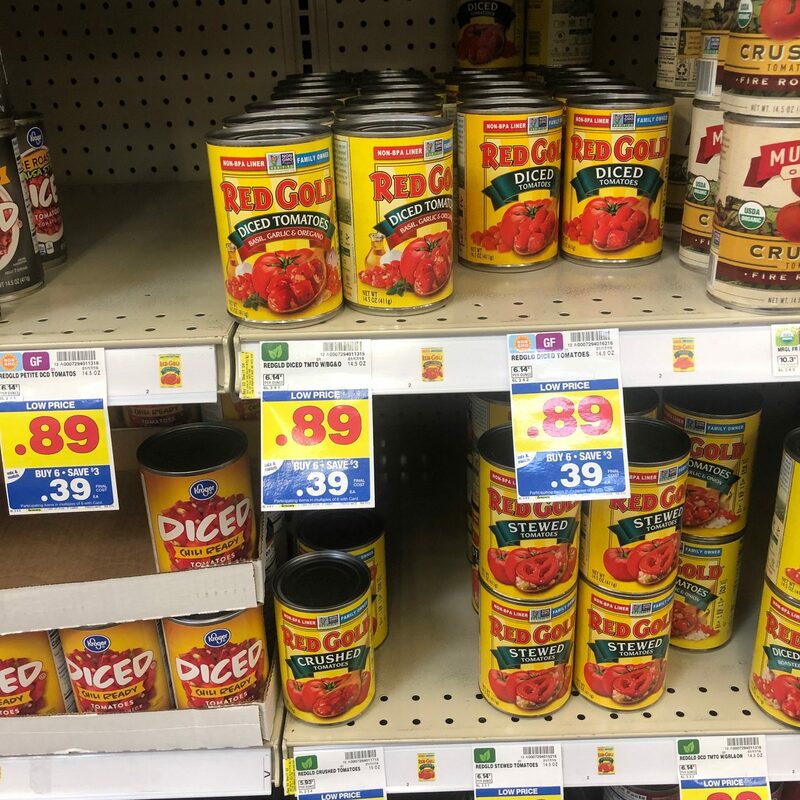 I was super excited to find these tomatoes just $0.39 per can when you buy 5 participating items at Kroger! 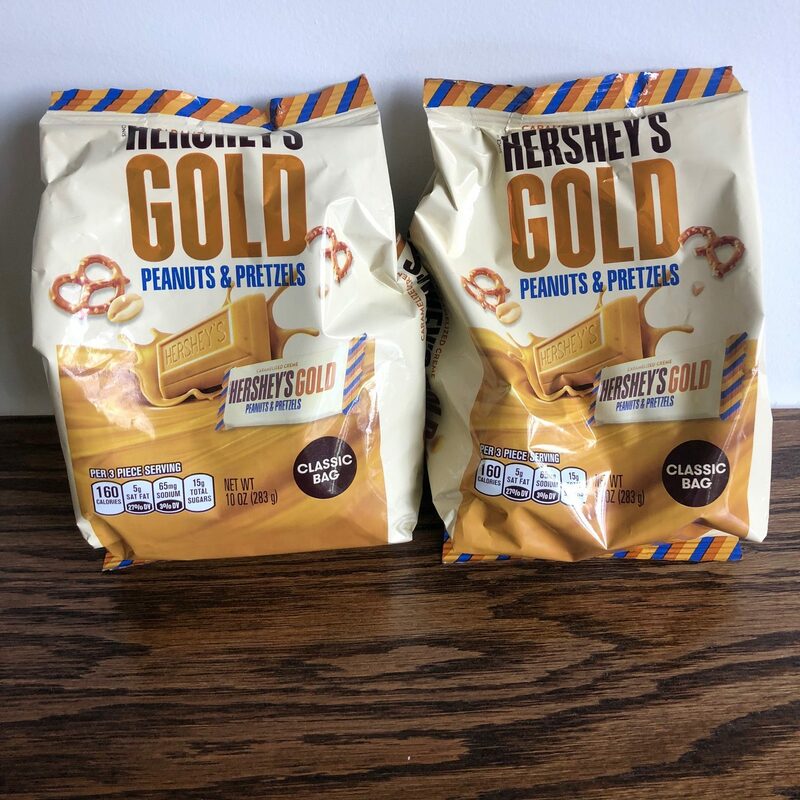 *Note: If you don’t live in the land of true BOGO, you can buy just one bag at $2.10 and get it for $0.10. 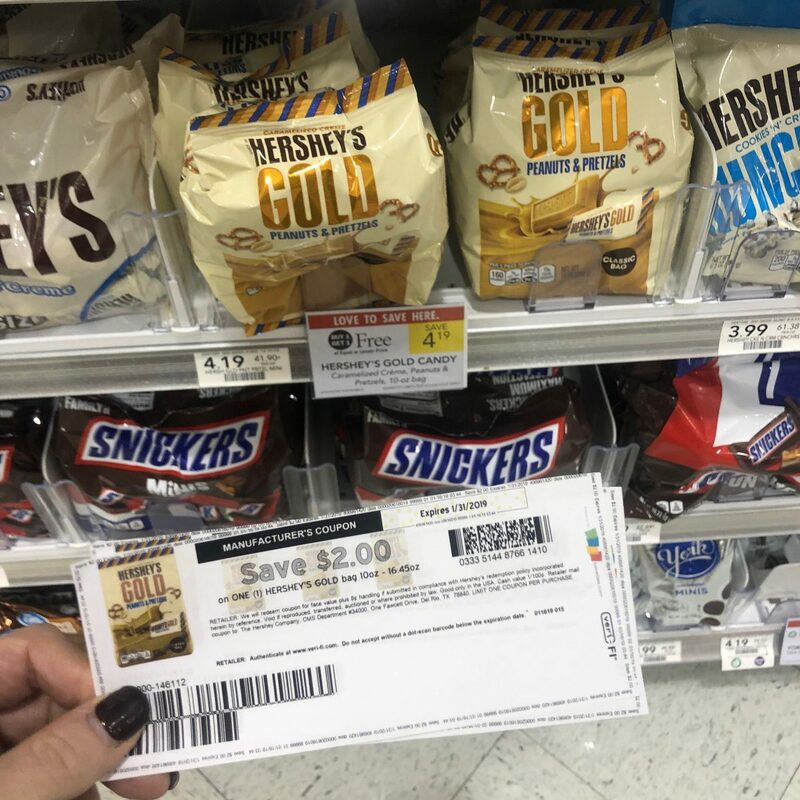 If your store is true BOGO, you’ll have to buy two bags and use two coupons to get the price of $0.10 per bag! 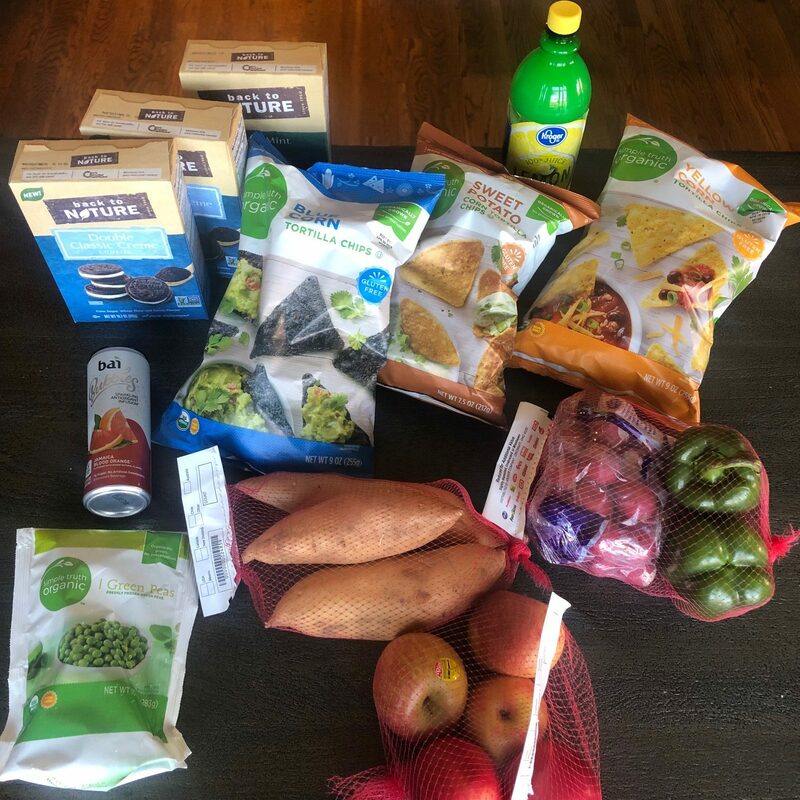 Cashback earned this week: $3 from Ibotta for buying Back to Nature and 150 points for submitting my receipts to Fetch rewards. Are you joining me for the ! I’m thrilled to have SO many of you participating this time around! I’ll be on every weekday morning this week around 9 a.m. prepping our dinner for that evening. If you want to join us live, I’d love to have you do so! Every day at 2 p.m., , the recipe I made, some menu-planning tips and money-saving suggestions. There will be a lot of things that I’ll only be sharing in the email (I won’t be posting them here), so if you don’t want to miss out, be sure to . 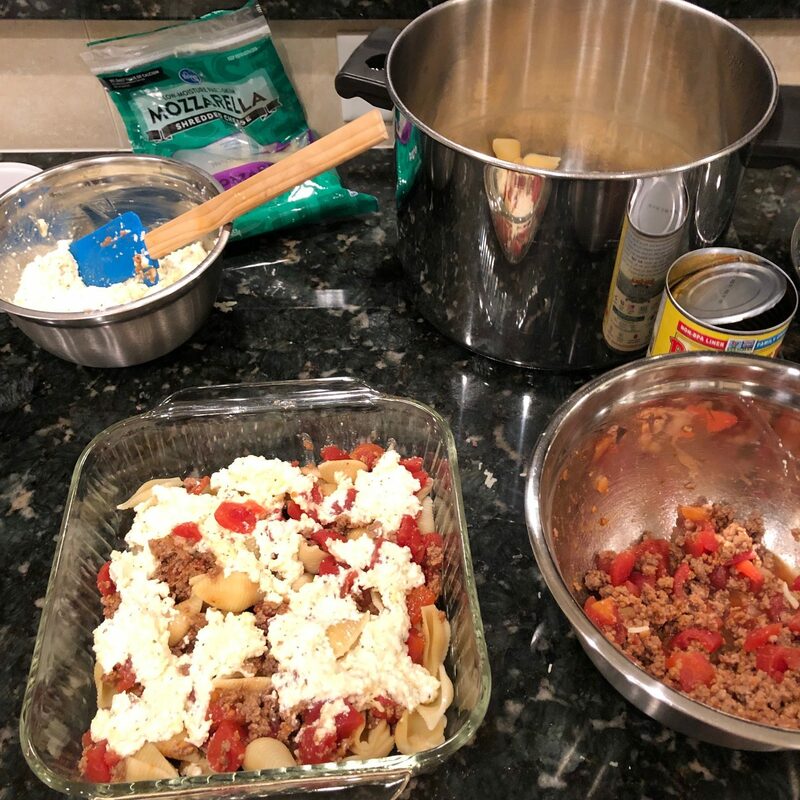 You can also every day and share what you are making for dinner, if you’d like! 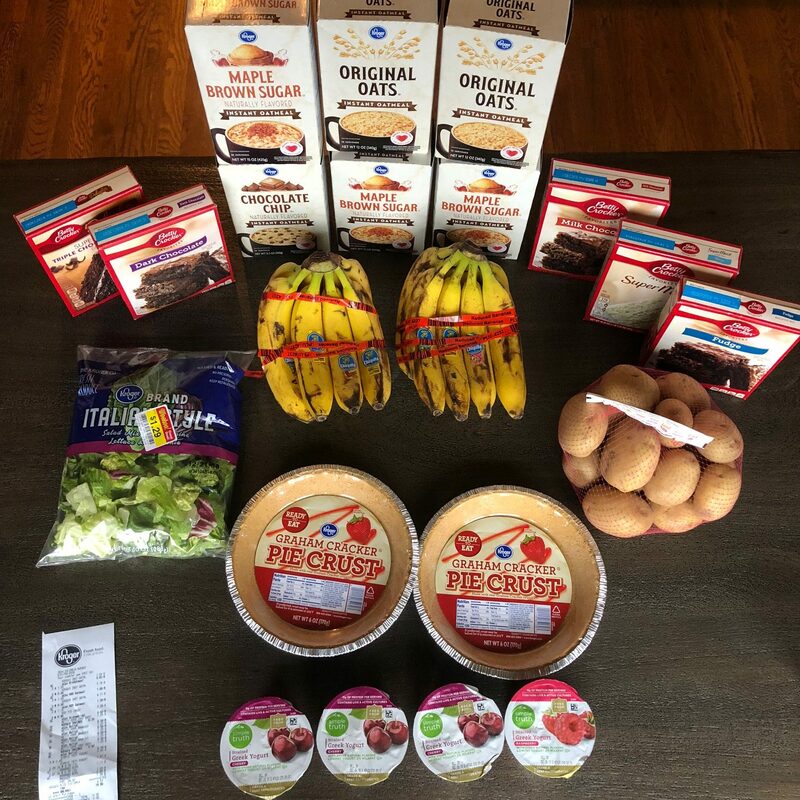 We went to Aldi and bought everything we needed for these recipes. 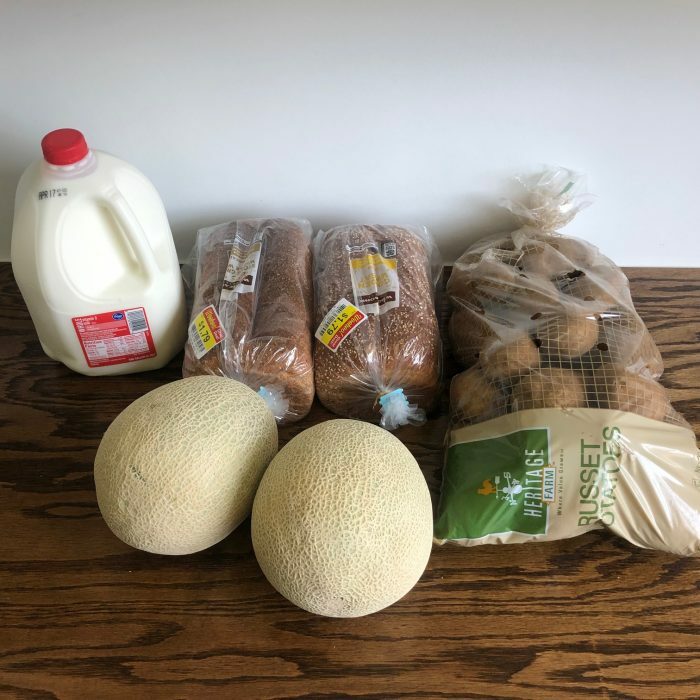 We also picked up some other items we needed (milk, juice, half & half, blueberries for $1.29, apples for $1.49, and frozen veggies). 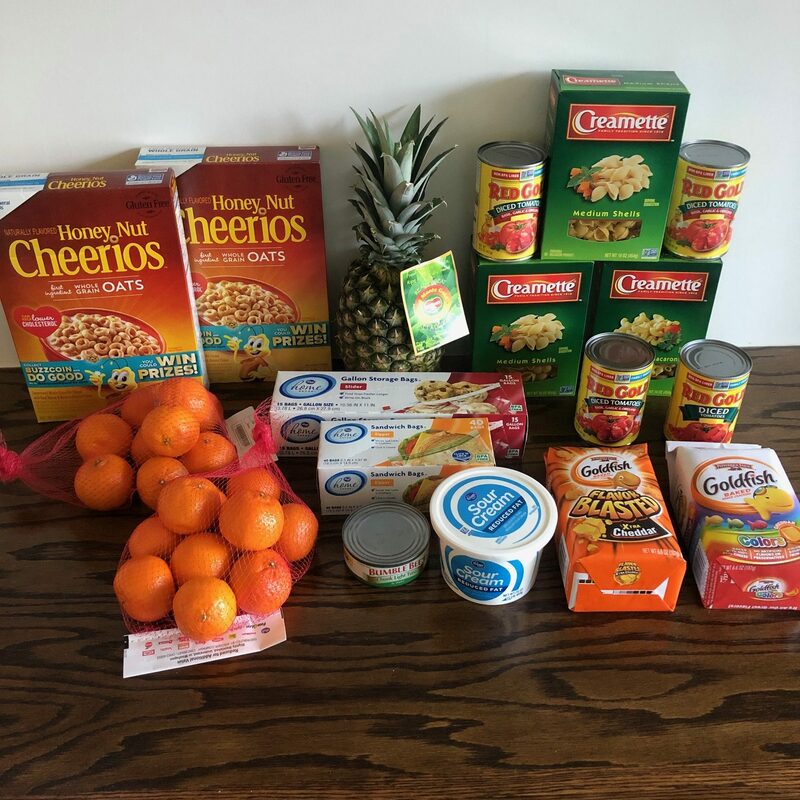 We already have quite a few staple items on hand (cereal, lunch stuff, snack stuff, etc.) and I already have some ground beef on hand that I’m going to use for the meatballs instead of buying pre-made meatballs. 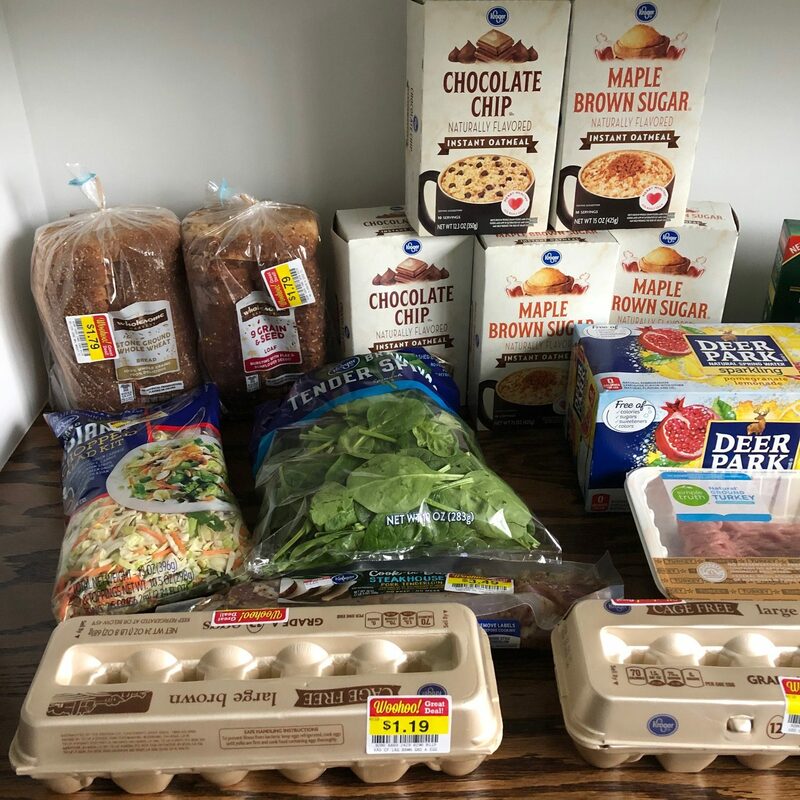 Our total for all these groceries was $75.01 — and that (combined with what we already have on hand) should cover all of our breakfasts, lunches, dinners, and snacks this week. If you follow here on December212012.info, you know that I typically buy what’s on sale, what’s marked down, and what I can get on a really great deal with coupons. So we typically have a lot groceries on hand and that’s what I usually plan our menus based upon. 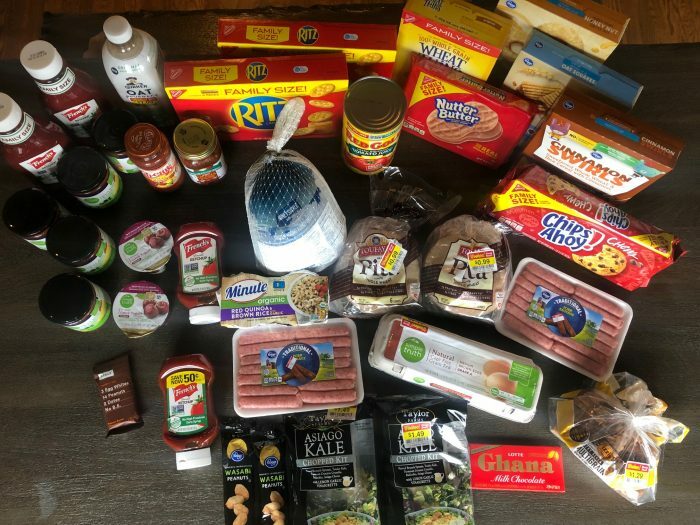 But for this week, since I know most of you probably don’t have a big stockpile of items and you might also not have time to be using coupons or hunting down the best deals and markdowns multiple times per week, I wanted to show you a more realistic look at how you can buy your groceries and not spend a huge amount of money at the store. 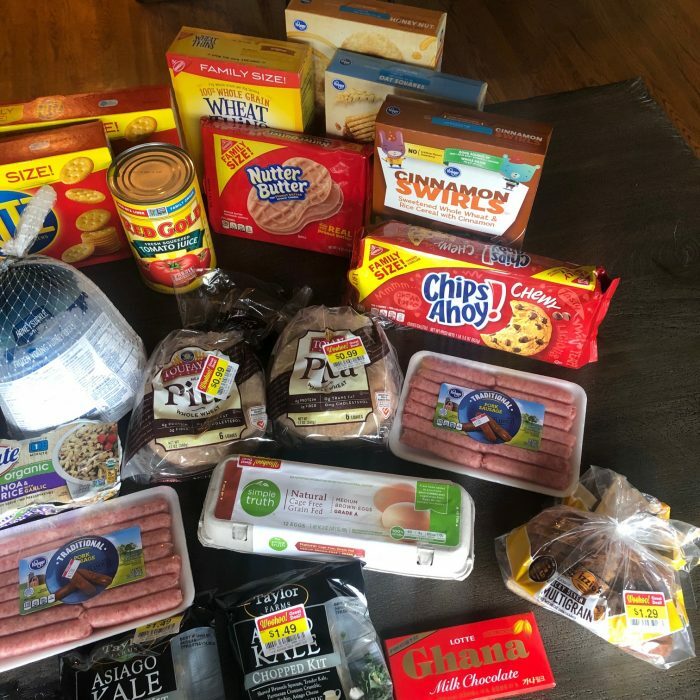 If we were to have bought a few boxes of cereal for breakfasts, eggs, some lunchmeat, some bread, maybe a few items for snacks, and a few other necessities, we still could have bought everything needed for all of our meals and spent $125 or less. You might have different stores and different prices, but planning a menu based upon fairly inexpensive ingredients, spending a little time in the kitchen everyday, and basing your snacks and sides upon what’s on sale (we just bought the fruit that was on sale and will eat a lot of apples and blueberries this week! ), you can keep it simple and keep your grocery budget low! Today’s recipe was All Day Beef Stew. I made it in the crockpot and set it on low and used the timer feature to set the timer for 7 hours. Kathrynne has a basketball game tonight so we probably won’t be home until 7:30 p.m. When the timer goes off on the crockpot, it will just stay on warm and will be ready for us when we walk in the door! We’re going to serve it with crackers and cheese that I already had on hand and some sliced apples. I’ll let you know tomorrow what we thought of the recipe! 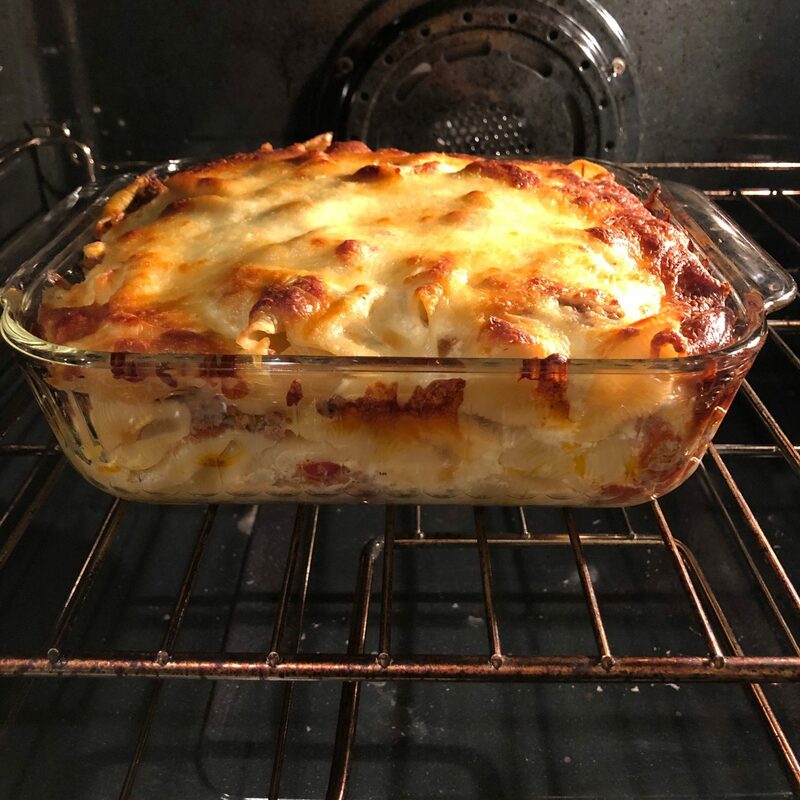 I think it’s going to be yummy — and it was so simple to make! Thanks for joining me in this challenge. If you want to , head over and leave a comment and tell us! Looking for some inspiration to eat at home more often? I’m using the for my recipes for this challenge. I love this menu-planning service and highly recommend it — especially if you struggle to come up with the time and inspiration to make your own menus. is a menu-planning service designed to make getting dinner on the table much easier every night. 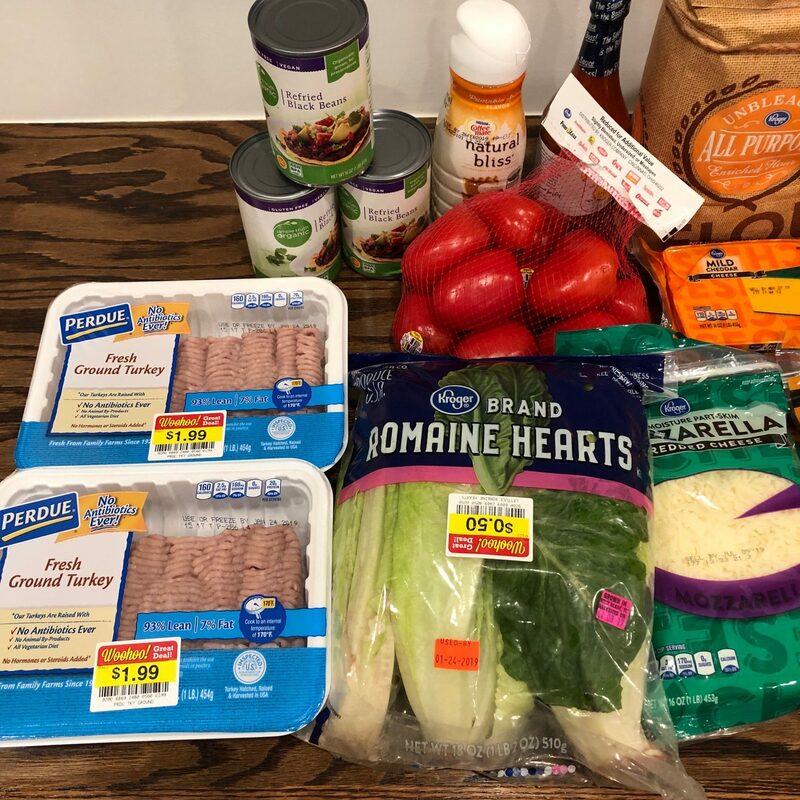 It was a service created by Tiffany, a mom of 4 who loves to cook and loves to gather her family around the table, but has found that if she doesn’t have a quick and easy plan, it’s hard to make that happen. How Does the Eat at Home Menu-Planning Service Work? The is an incredible way to help you save time and save money. 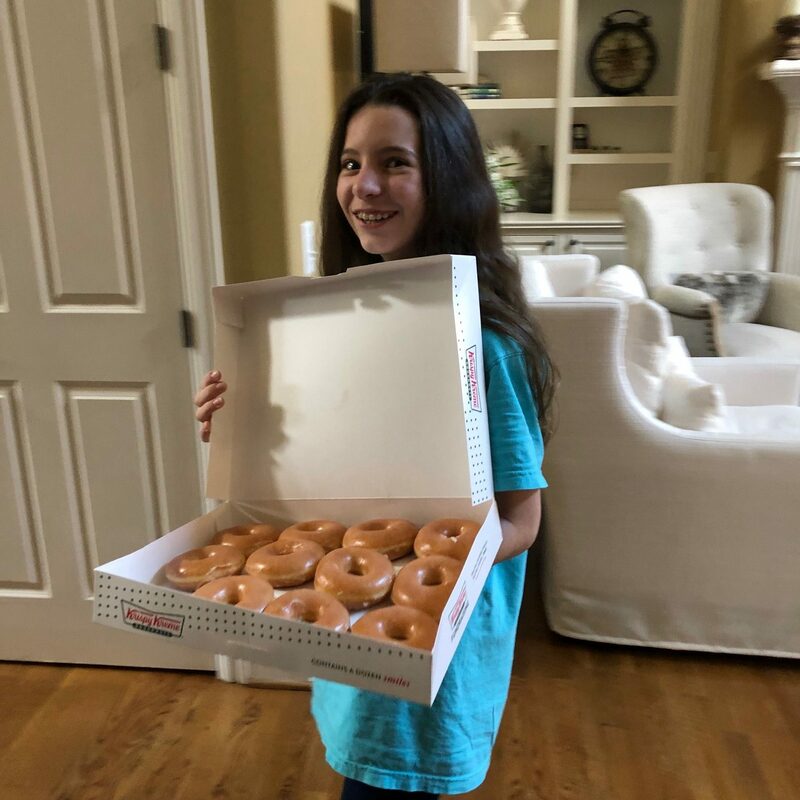 You don’t have to worry about planning menus OR grocery list, because Tiffany does all of that for you as part of the menu-planning service. The recipes can all be fixed quickly, with only a few minutes of hands-on prep. 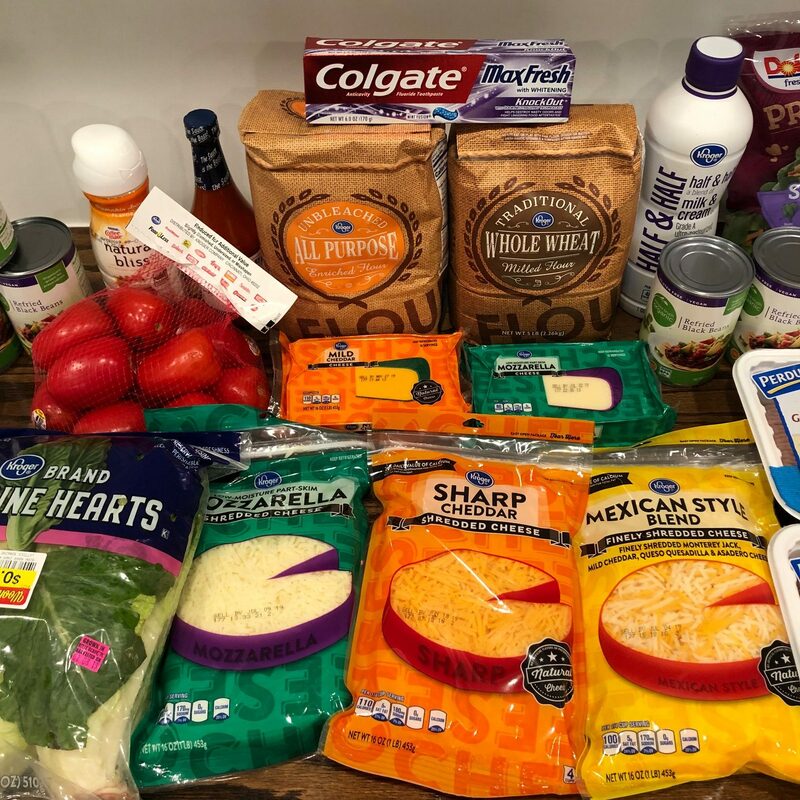 Because the recipes use common pantry ingredients, it’s likely that you have everything you need to make many of the recipes. It’s so convenient because all the work is done for you! 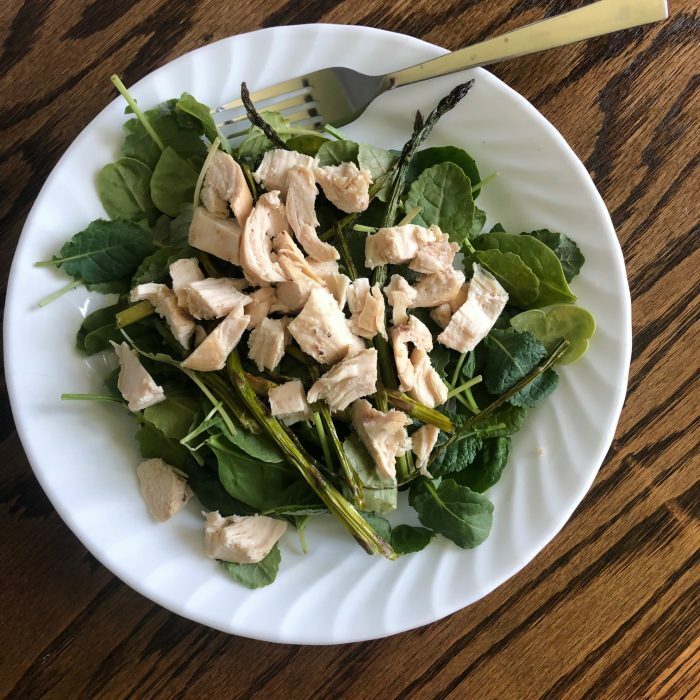 You just choose which menu plan you’ll use, print the grocery list, go shopping, and then spend a few minutes prepping food each day and dinner is D-O-N-E! Access to the entire month at once! 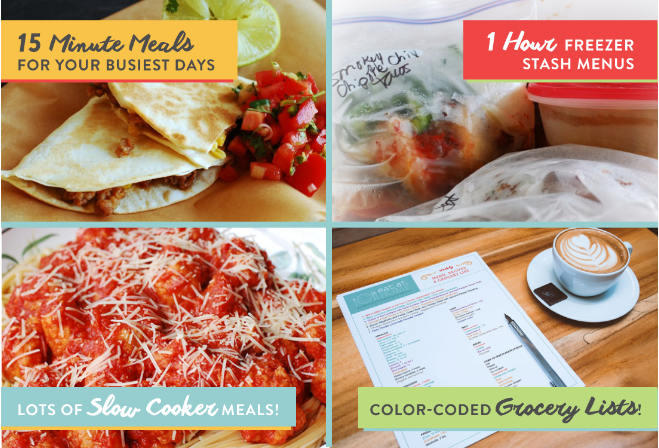 1 Hour Freezer Stash Plans – a new plan each month to stock your freezer with 6 meals in 1 hour! 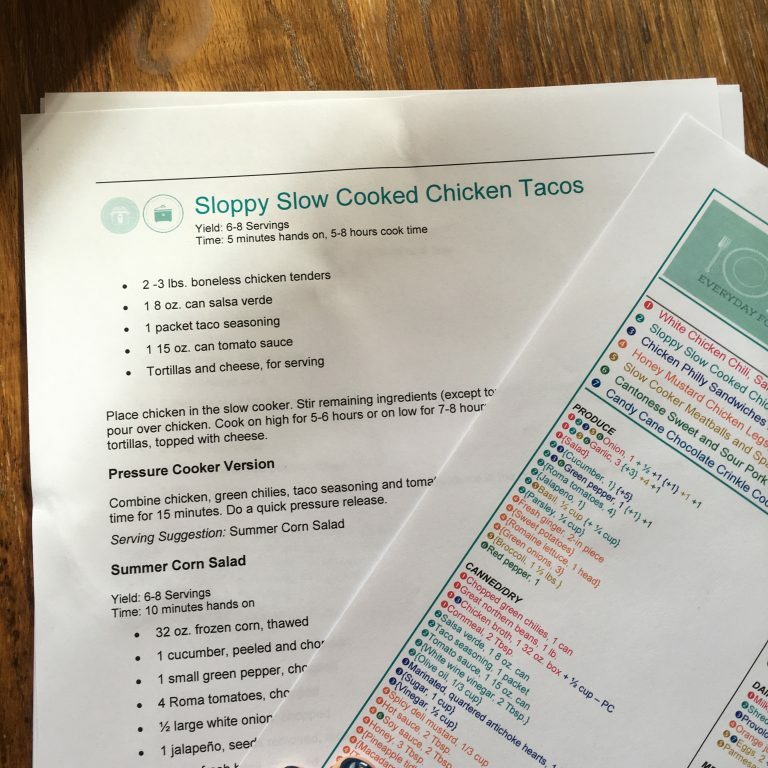 You can choose to stick with just the traditional menu plan or just the slow cooker menu plan or just the whole foods menu plan or just the no flour, no sugar menu plan. Or, you can rotate different menu plans on different weeks, depending upon what you feel like cooking or how much time you have! Get the Eat at Home Menu-Planning Service for as Low as $1.13 per Week! If you struggle to make menu plans and would love for someone to make them for you + make a grocery list for you, it’s well worth spending a few dollars every week to let do the work for you. That makes the done-for-you menu plans and grocery lists as low as $1.13 per week. And you get access to all four plans and the freezer cooking plans for the whole month at the rate! 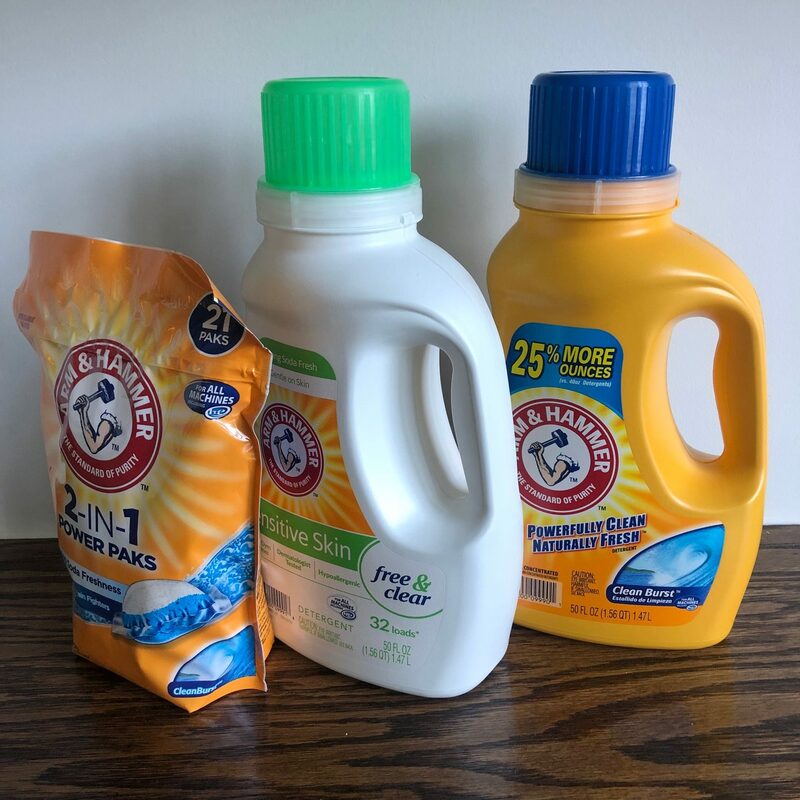 Note: The links in this post are affiliate links, and we will be compensated when you make a purchase by clicking through our links. Read our . I spent $58.91 on groceries this week! 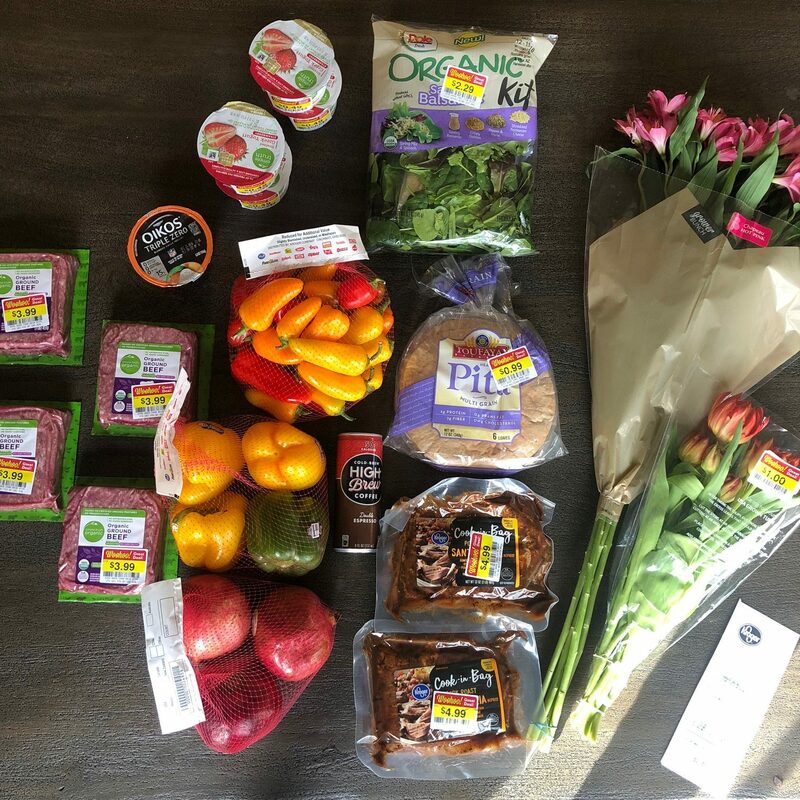 After going over budget last week, I was super extra careful to make sure to stay in budget — and I ended up being over $10 under budget! 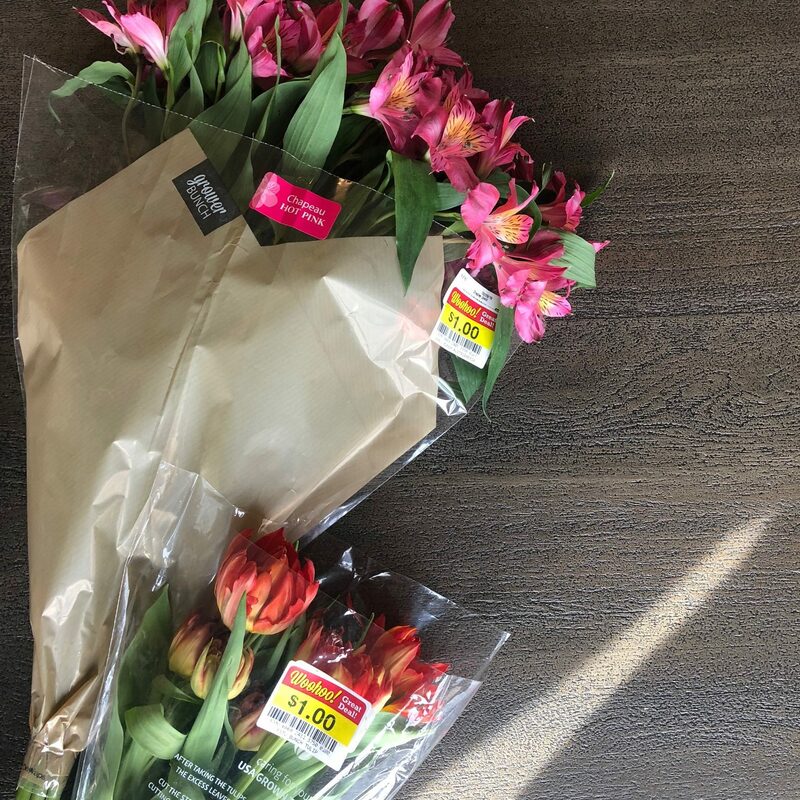 It was a rather rough start of the week for me for a lot of reasons and I felt pretty emotionally and physically spent, so finding these flowers marked down to $1 was just the perfect boost of happy for me. And they’ve made me so happy to look at all week long! Cashback earned this week: for submitting my receipt and buying cake mix and 50 points for submitting my two receipts to Fetch rewards.